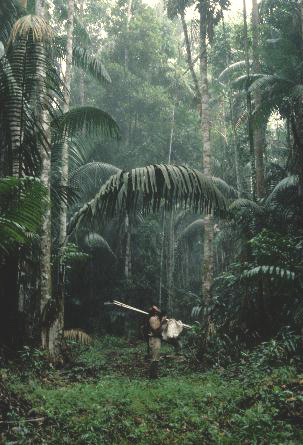 The Darién Gap is a break in the Pan-American Highway consisting of a large swath of undeveloped swampland and forest within Panama’s Darién Province in Central America and the northern portion of Colombia’s Chocó Department of South America. It measures just over 160 km (99 mi) long and about 50 km (31 mi) wide. Roadbuilding through this area is expensive, and the environmental toll is steep. Political consensus in favor of road construction has not emerged. Consequently there is no road connection through the Darién Gap connecting North/Central America with South America and it is the missing link of the Pan-American Highway. 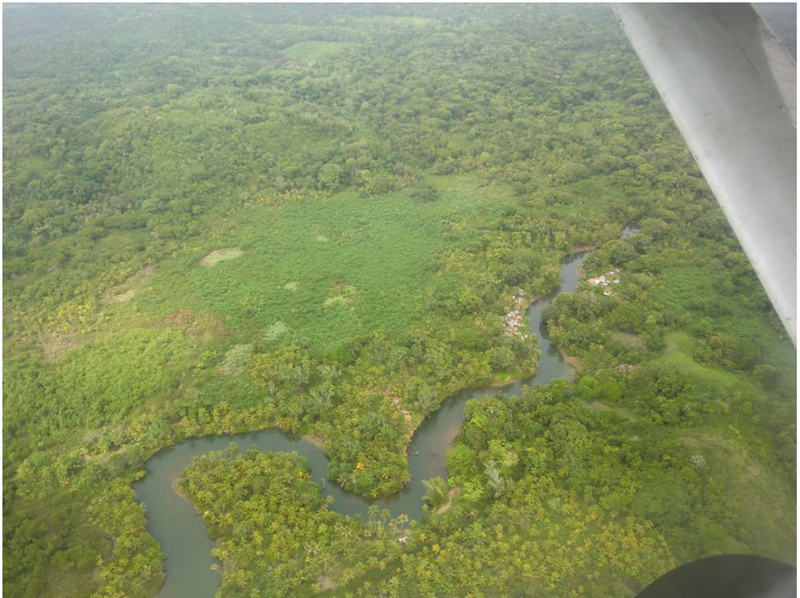 The geography of the Darién Gap on the Colombian side is dominated primarily by the river delta of the Atrato River, which creates a flat marshland at least 80 km (50 mi) wide, half of this being swampland. 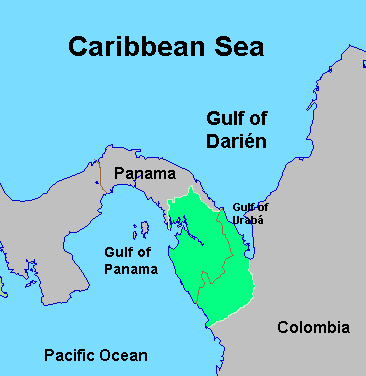 The Serranía del Baudó occupy Colombia’s Pacific coast and extend into Panama. 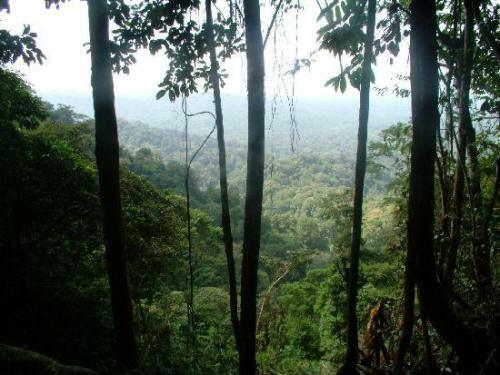 The Panamanian side, in sharp contrast, is a mountainous rainforest, with terrain reaching from 60 m (200 ft) in the valley floors to 1,845 m (6,053 ft) at the tallest peaks (Cerro Tacarcuna). 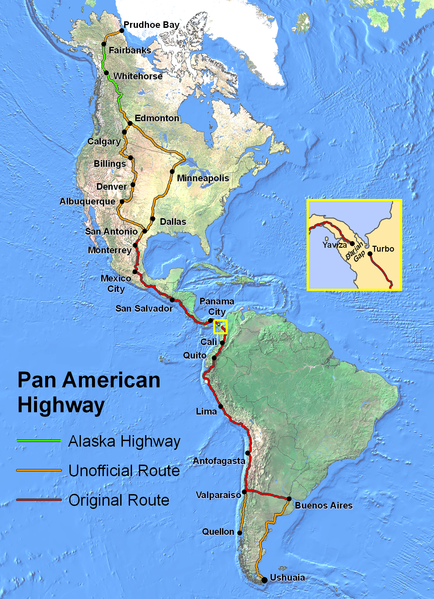 The Pan-American Highway is a system of roads measuring about 48,000 km (30,000 mi) long that crosses through the entirety of North, Central, and South America, with the sole exception of the Darién Gap. On the South American side, the highway terminates at Turbo, Colombia. On the Panamanian side, the road terminus is the town of Yaviza at. This marks a straight-line separation of about 100 km (60 mi). In between is marshland and forest. Efforts have been made for decades to remedy this missing link in the Pan-American highway. Planning began in 1971 with the help of United States funding, but this was halted in 1974 after concerns raised by environmentalists. Another effort to build the road began in 1992, but by 1994 a United Nations agency reported that the road, and the subsequent development, would cause extensive environmental damage. There is evidence that the Darién Gap has prevented the spread of diseased cattle into Central and North America, which have not seen foot-and-mouth disease since 1954, and since at least the 1970s this has been a substantial factor in preventing a road link through the Darién Gap. The Embera-Wounaan and Kuna have also expressed concern that the road would bring about the potential erosion of their cultures. The gap has been crossed by adventurers on bicycle, motorbike, all-terrain vehicle, and foot, dealing with jungle, swamp, insects, and other hazards. This place looks like a mosquito and snake infested hot box. End of the road, Panama side.